Let it snow, let it snow, let it snow! So you can make some awesome stuff with it. Yes, snow is icy cold and a pain to shovel, but it's also what classic holiday memories are made of. Build a snowman or a snow penguin. 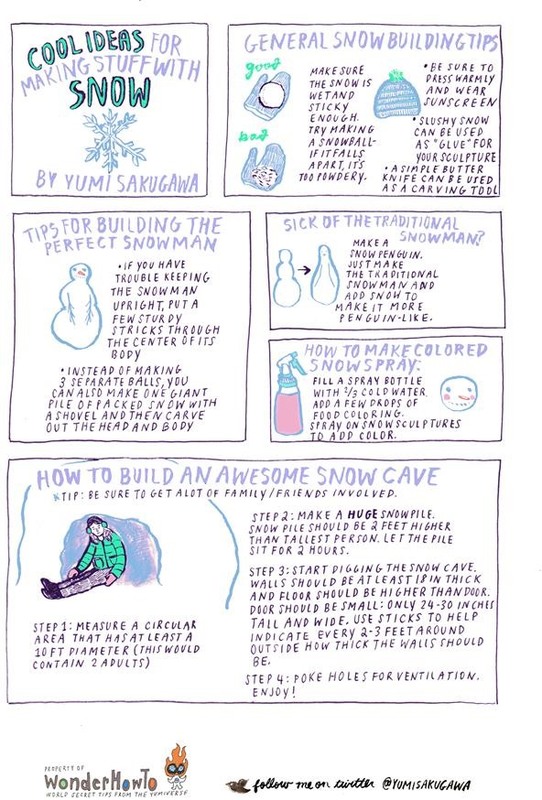 Or if you're feeling ambitious, build a huge snow cave you can hang out in with your friends. Got your own creative ideas for making stuff with snow? Share with us in the comments below.